Hypotrochoids are mathematical curves traced by a point in a circle (your pen) rolling around the inside of a bigger circle. These curves have been studied by mathematicians for centuries. This drawing set makes it fun and easy to draw these designs and you can create endless designs using the gears provided. 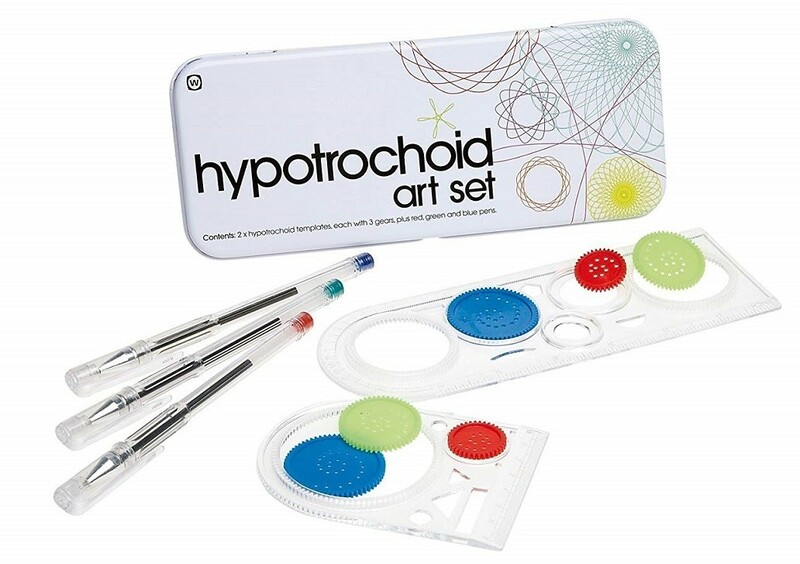 The set includes two hypotrochoid templates each with three gears plus one each red blue and green pens. The whole set comes inside of a reusable tin. - Although the math is complicated making beautifully complex art is simple and enjoyable! 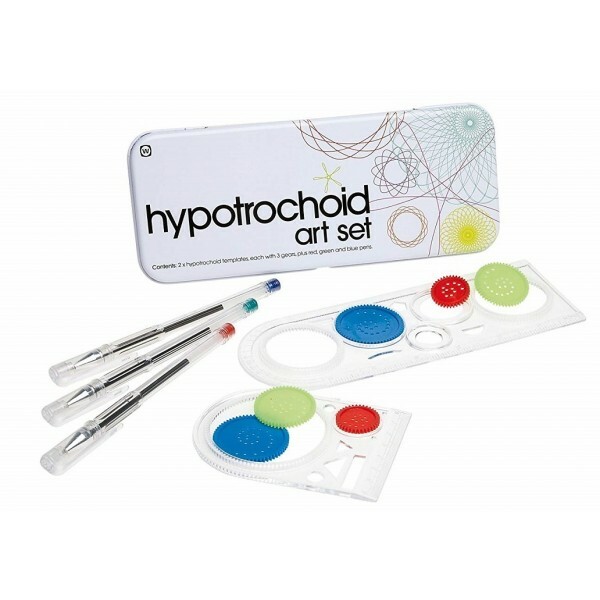 - Contains: 2 hypotrochoid templates, 1 Red, 1 Blue, and 1 Green pen, tin Carrying case and instructions.